"When independence came, we celebrated with tears in our eyes. We would continue the struggle to ensure that our children received every opportunity of Western privilege...There was nothing that our children asked for that we denied them. We who had grown up knowing only deprivation, austerity and hard labor. We wanted only the best for them. We even sent them to the best private schools with plenty of whites... But it was all in vain. They have neither respect nor gratitude....these modern children are culturally bleached." As Zenzele announces her intentions to leave Harare, Zimbabwe for the halls of Harvard, her mother reflects on life lessons that her daughter must know before she leaves for the states. As the eldest of five children raised by a widowed mother, Zenzele's mother, Shiri, never had the privilege of thinking about global warming or worrying about the starving in Ethiopia. 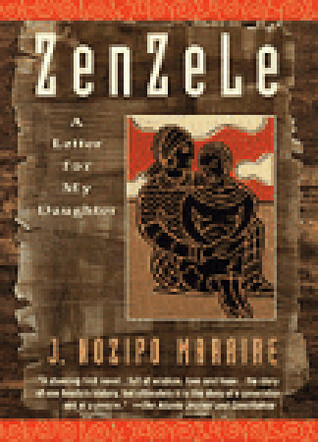 After all, Zenzele has grown up in Zimbabwe, not Rhodesia, as her mother had. Shiri is impressed and in awe of this daughter that protests inhumane treatment of others and petitions foreign governments. Through the letter her mother writes to her, readers are treated to a history of Rhodesia and the fight for independence that resulted in Zimbabwe. Interesting to note is Shiri's lament that what was envisioned as successful post-colonial life was rooted mostly in material success. In the rush to claim what colonialists had, the new Zimbabwe adapted the British culture and began to reject their own. As the children of Zimbabwe go abroad to study, there's the fear that they won't return, as one of Shiri's cousins did, and if they do return, they will have completely forgotten their roots and culture. The hope is always that they go out in the world and absorb what they can from other cultures and bring it back to their country and continent. Though she's proud of her, Zenzele's leaving is Shiri's biggest dream and potential nightmare. I loved this book because even though it was a history lesson, it didn't feel like one. So many of the lessons that Shiri passes on to Zenzele, and so many of the experiences she speaks about, are similar to those that all mothers pass on their daughters. Others are lessons that I recognize as those passed on to me, that seem race-specific as an African-American, that I've also passed on to my daughter. Things such as how to react when you're mistaken for a store clerk when you're obviously not dressed in the store uniform or being talked down to because the assumption is that your skin color means you're intellectually inferior.. There are so many lovely features that shall make you conspicuous among the flock. One of these is your color. In our country, you are accustomed to every shade from caramel to charcoal. Overseas, they do not have an eye for our rainbow. To them, we are all one burdensome color: black...Let no one define you or your country. I could go on and on about all of the great nuggets of wisdom that Shiri imparts on Zenzele, but I'm really hoping you'll pick this up and give it a read for yourself. I can promise you that you won't be disappointed. And as Bill Cosby used to say on Fat Albert, "You just might learn something."